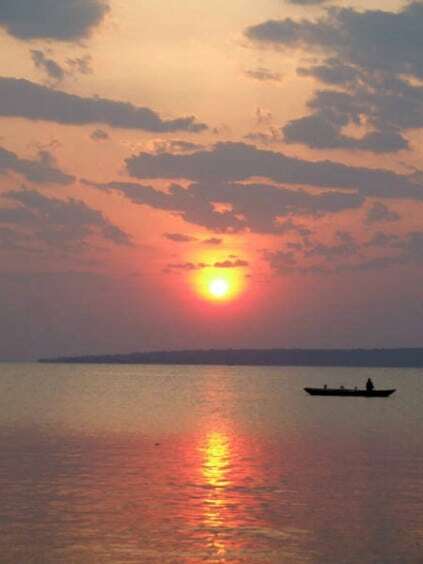 Lake Tanganyika – From the 1970’s TTN, through Dave Salisbury, began outreaching to the people on the lake and as recently as 2005 and 2006 TTN helped run a city wide crusade in Mpulungu and Nsumbu. Every year we help out with outreaches in smaller fishing camps and lakeside villages. Lake Tanganyika is well over 700km long, bordering 4 nations, thousands of kilometres of shore line and almost no Bible believing churches. Quite simply it was beyond us, we are so thankful that others have become involved and taken up the challenge in a bigger way than we ever could. Our aim is to help and equip the people on the ground get the job done. By supporting the Good News Team, a part of OM (Operation Mobilisation), we are helping to make a permanent change for the Gospel. There are stories in the New Zealand Jet Boat Association Magazine, from the 1970’s, that talk about the first jet boat going to Zambia to preach the Gospel on Lake Tanganyika (Imbila I). Today Imbila III is on the lake helping out with the work. 2010 will see the Good News II clinic ship, which has been salvaged, restored and fitted out by the OM Mpulungu team, on the water by mid-year. It will be fitted with a clinic in her stern. 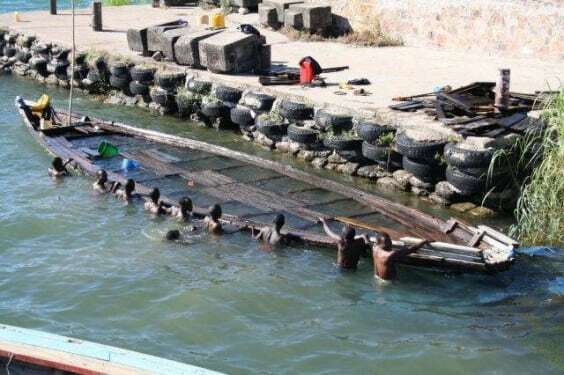 In 2008 after the team purchased the boat, TTN helped them with the salvage operation and the big tow back to port from Kasaba Bay Nsumbu National Park to Mpulungu. Operation Lift has also joined (us) and has dispatched a container full of medical/educational equipment to the lake. They have also provided a shed frame and roof for a birthing clinic for Nsumbu. Very high HIV/AIDS infection rate has left many villages with mostly only children. A container of medical and educational goods sent in April 2010, arrived in May. The equipment sent, ranges from shoes to ultrasounds, and just about everything in between. With this, we are able to help fit the new birthing clinic and clinic ship with some amazing life saving equipment. There will be enough items left over to refit and improve a lot of the existing health facilities. In doing this, we are not only helping to Open the Doors for a Chaplaincy at the existing medical facilities, we are also helping to build relationships, so we can Open the Doors for the Gospel, for those who are cared for by the clinic ship and birthing clinic. Nsumbu is a large Zambian village of about 4000 plus people with district of 60,000 people near the Congo boarder. The health facilities were in need of assistance. One major issue faced, as it was explained to us by the Clinic Officer, is due to the villager’s diet being un-balanced causing the natural cycle of some women to become irregular. Therefore, many women have no idea exactly how far they are through their pregnancy so they believe they are further along than they really are. This leads them to seek help from witch doctors, who in turn, induces labour through traditional methods. Sadly, this is often well before the due date and results in tragedy for child and mother. Hence the need for birthing clinic and fitting the clinic ship with an ultra sound machine to help address some of these issues. So, as we partner with the Zambian Health Department, OM and others, Operation Lift and TTN will continue to help where we can. This Opens the Door for the OM Missionary to minister the Gospel and give aid to the mothers as they come from Zambia/Dr Congo and even Tanzania to deliver their babies and thus begin the discipleship process which sees the change that lasts.